At the Department of Soil Science UW Madison I'll teach soil science - In the autumn semester I teach Pedology (325) including field work and the two lab sections, Field Study of Soil (305) and the pedology component of General Soil Science (301). At ISRIC - World Soil Information there about 1000 visitors annually who mostly come from for the World Soil Museum. The visitors are from all major Dutch universities and also from universities of the UK, Germany, Belgium, Hungary, USA and several other countries. We provide tailor-made courses and lectures in the museum and a soil-landscape excursion in the vicinity of Wageningen. Furthermore, there are school groups, Rotary and PROBUS groups and many international visitors who are in Wageningen. In addition to these ISRIC activities, I was guest lecturer in soil science at Wageningen University and the UNESCO International Institute for Infrastructural, Hydraulic and Environmental Engineering (UNESCO-IHE) in Delft, and at the National University in Butare, Rwanda. I supervised MSc and PhD students of Wageningen University and am a registered researcher at the Research School C.T. de Wit for Production Ecology and Resource Conservation (PE&RC). From 2000 to 2002 I taught several soil science courses at Larenstein in Deventer including Soil fertility and manure legislation and Introduction to precision agriculture. At the University of Technology the following courses were taught Introduction soil science, Soil fertility and plant nutrition and Tropical ecology for undergraduate students. Advanced subjects taught were Pedology and Plant nutrition and field experimentation. 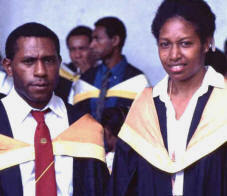 In 1996 and 1997, I assisted in a scientific writing and publishing course by Australian Centre for International Agricultural Research (ACIAR) in Lae (PNG). I was assistant for computer-based course on QUEFTS (Quantitative Evaluation of the Fertility of Tropical Soils) at the International Agricultural Centre (IAC) in Wageningen in 1993 and 1994.